Chistmas draws ever closer at InknTonerUK. We’ve given all of you advice on how to make this Christmas a good one and we hope we have helped a lot in that regard. 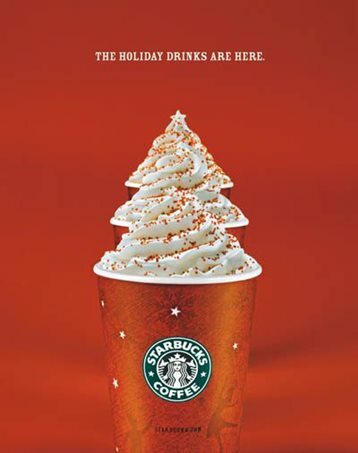 Wed like to show you examples of printed adverts we thought were really great this year in the run up to to the 25th of December. There’s no other snack filler on Christmas day like a box or tin of chocolates. 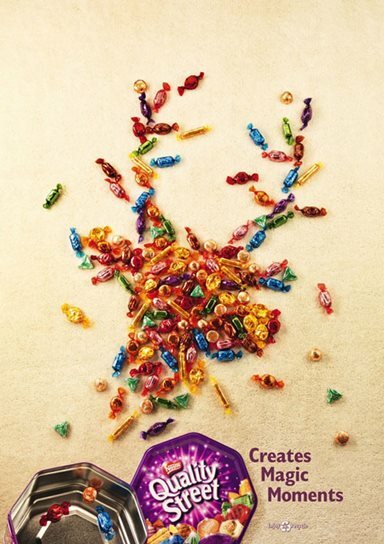 Quality Street is one of the more popular choccy choices, in this Advert they have gone for the simple yet effective trick of spreading the chocolate around in the shape of a reindeers head. This one is quite funny as it is very relatable, there is nothing more awkward on Christmas day( and many other special occasions) of trying to act like you are happy with a rubbish present you have received. Harvey Nichols have used this to urge customers to not make the “gift face” by telling you to shop with them to find the perfect gift this Christmas. While everyone around the world will be looking forward to presents food and parties. Greenpeace has used the occasion to reminds us about the dangers of global warming and the effect it will have on us at Christmas season. 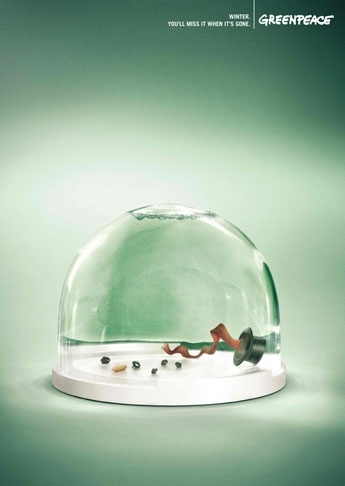 A snow globe disturbingly shows a completely melted snowman left with nothing but hat buttons and a carrot. Really thought provoking. 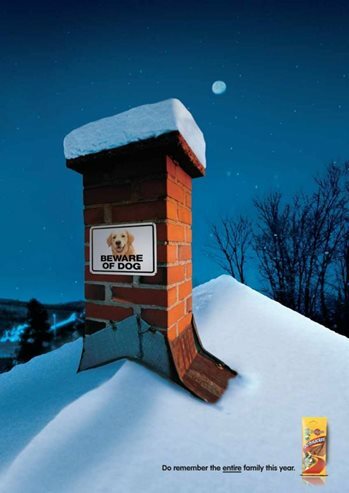 And lastly Dog food brand Pedigree have warned santa claus that he may meet a four legged friend or two during his annual trip down chimneys around the world. Seen as this is our last blog for this year. 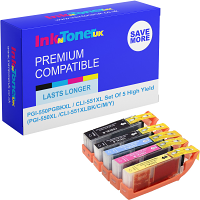 From us at InknTonerUK, we wish you a merry Christmas and a happy new year!